24 Sree Chamundeswari Sambrani Dhoops. Short and very fat. 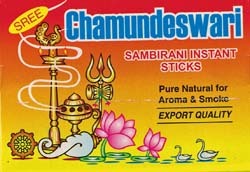 Instant incense, pure and natural for great aroma.